Finally the look of Nandamuri Balakrishna as Raja from Vetagadu as a part of NTR biopic has been out today. 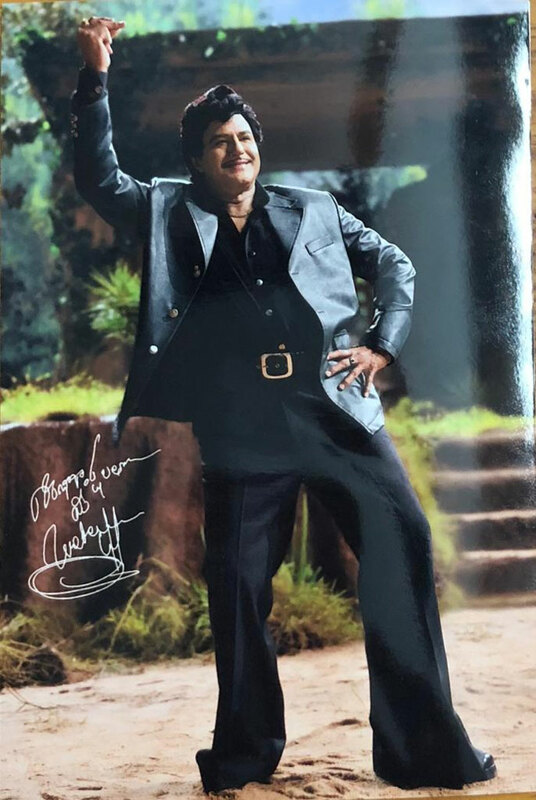 Currently Nandamuri fans are very excited after seeing the look of their favourite star Nandamuri Balakrishna. Coming to NBK (Nandamuri Balakrishna)’s get up, the actor looks vey good in the bell-bottom pant. Sr NTR used to pose in the same way. Krish Jagarlamudi is being helm this upcoming biopic. The source close to the film unit reveal that the super hit song ‘Aaku Chatu Pinde Tadise’ is being reused in it and Keeravani will score the music. Krish’s directorial venture and Balakrishna’s production venture- NTR biopic is being made in two parts NTR Kathanayakudu and NTR Mahanayakudu. Both the parts will be released in the month of January 2019.